Signed l.r., oil "Russell Drysdale". Not dated. 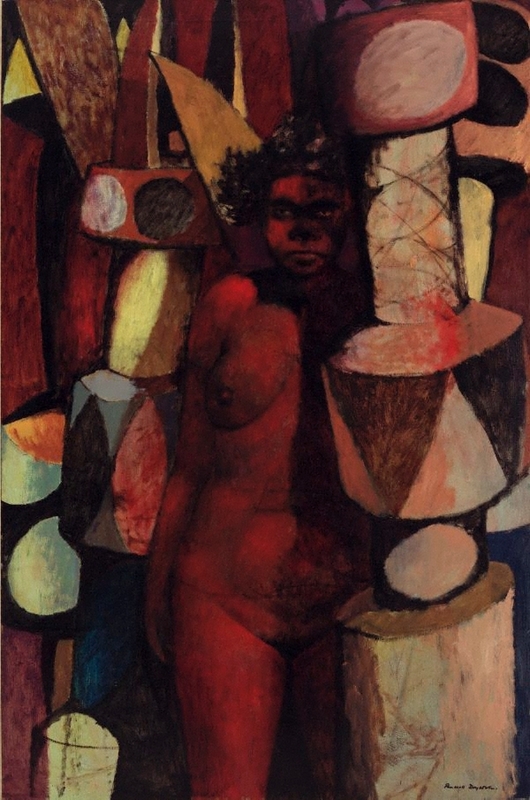 Australian painters, forty profiles , Melbourne, 1963, 110 (illus.). Angus Maude (Editor), The Sydney Morning Herald , Sydney, 01 Nov 1961. John Douglas Pringle and Russell Drysdale, Russell Drysdale's Australia , Sydney, 1974, 43 (colour illus.),. Art and Artists of Australia , Melbourne, 1981, (colour illus.). Lara Travis, Art and Australia (Vol. 36, No. 1) , 'Exhibitions: Russell Drysdale; Art, macramé and shag-pile carpet', pg. 54-55, Sydney, 1998, 55 (colour illus.). Editor Unknown (Editor), Sun-Herald , Sydney, 01 Nov 1961. Editor Unknown (Editor), Bulletin , Sydney, 11 Nov 1961. Editor Unknown (Editor), Nation , Sydney, 18 Nov 1961.